There are seriously so many good dramas that are airing that I will not be able to keep up with! Fortunately, Nightmare Teacher is a special piece where episodes are only 15 minutes each. I came for Kim So Hyun, of course, one of the most talented young actresses. Here, she plays Ye Rim, president of her class and number one student academically. Her constant companion and friend that likes her is Sang Woo. Together, they experience a series of odd happenings as a substitute teacher takes over their class. Said teacher, Bong Gu, offers special counseling to students “in need”. One of his first “victims” is a girl who is an outcast in the class. He offers her a deal that will make her wishes of becoming popular true, if she signs a contract. While she does become mysteriously popular, it actually becomes detrimental to her later on as things escalate. She ends up not wanting to be popular anymore because of the pressure, but it is already too late. She “disappears” when the teacher takes her away to his special dimension. Unfortunately, the class does not remember that she even existed. This “contract” lures other students in as well when they unknowingly sign their souls away just so they fulfill a wish they have. However, Ye Rim and Sang Woo become a little suspicious of the disappearances and notes left behind by the victims. They are unable to place what is happening, but feel that something is up with the teacher. Kim So Hyun’s bread and butter is spunky high school student roles. With only 4 episodes in, the story has yet to focus on her investigation / battle with the “demon” teacher. Instead, we see an interesting case of “be careful of what you wish for” as the previous victims regret what they had so fervently wanted. I am interested to see what Ye Rim would want or to see how she resists the teacher’s manipulative ways. She does not seem to be beguiled so easily and I am wondering how she will beat the teacher in his games. However, I predict that Sang Woo might disappear which will probably spur her into action. BTOB’s Minhyuk plays Sang Woo naturally enough and is cluelessly adorable in the drama. While he does not have D.O or Lee Joon’s chops yet, I wouldn’t mind seeing him develop in other small roles later on. As a quickie, this drama seems like fun (when I am actually waiting for Kim So Hyun’s other drama, Page Turner, to be subbed). YAAAS. That is how I feel about this drama special. Not only do I get to be treated to Kim So Hyun, but I also get Ji Soo as a package. Kim So Hyun plays Yoo Seul, a piano prodigy who is number one at her art school and bitter rivals with another pianist, Jin Mok. Her mother, a piano teacher, used to teach Jin Mok who plays precisely, but with no feeling. However, through an incident while teaching Jin Mok, Yoo Seul’s genius is discovered. Thus her mom decides to dedicate her life into making Yoo Seul the best pianist ever, living vicariously through her talent. Yoo Seul is not just a bag of hot air, her talent is quite amazing and she always trounces Jin Mok soundly in competitions. Jin Mok hates her arrogance and even prays that she will get retribution. Unfortunately, said prayer seems to be heard and Yoo Seul gets into a tragic accident that takes away her ability to see. She damaged her optic nerve to which there seems to be no recovery from other than perceiving light/darkness. Meanwhile, Ji Soo plays Cha Sik, a talented pole vaulter who can’t take being looked down upon. He is playful and even a bit on the crazy side. However, he too, endures a tragic moment in his life where he aims for a vault a little too high. As a result, he acquires fractures in his back vertebrae that renders him useless in sports because extra stress would make his fractures worse. Now both Yoo Seul and Cha Sik has lost their major purpose in life. Yoo Seul, who actually doesn’t like playing piano, sees this as a opportunity to be free. Yet, her mother doesn’t want her to stop playing. She even tries to commit suicide. This makes Jin Mok feel guilty as he believes he is the cause of this. He also begins to see Yoo Seul in a different light. Cha Sik, who becomes depressed for while, finally finds his purpose in life too. After learning about his piano prodigy father from his mother, he decides he wants to do music as well. Meanwhile, Yoo Seul breaks the news of not wanting to rely on her mother 24/7 as well as stopping piano, to the horror of her mother. Solid, solid acting by all three of our teenagers. Once again, Kim So Hyun plays that spunky, even a little arrogant teen to a tee. She never fails to garner my attention and even makes me feel sympathy for her unlikable character in the beginning. I am looking forward to how this life changing disability will affect her and how she will grow from it. Plus, I also hope she does not give up piano. More so, I am interested in how Ji Soo’s character will affect her outlook on life as well as how she will tutor him. I adore Ji Soo and his mom’s relationship in the drama. It is a high contrast from So Hyun’s and her mom’s relationship. Ji Soo’s bond depends on communication while So Hyun had repressed all her own opinions. And finally we have Jin Mok, who feels like the third leg into a probable love triangle here. I wonder if he will be able to infuse feeling into his piano playing after interacting with the new blind Yoo Seul. You know that the line between love and hate is really thin, right? We can already see that he doesn’t “really” harbor ill feelings towards his rival. He just wants her to be nicer, and now he feels extra guilty for what has happened. I am actually sad that this lovely set up will only be 3 episodes long! Another modern saguek fusion like Splish Splash Love, but with a different take on reincarnation. Snow Lotus focuses mainly on two characeter’s lucid dreams about a past life in Joseon times. These dreams feel so real to them that they keep on trying to find connections in real life that pertain to them. Ji Jin Hee plays San Baek and Soo Hyun. San Baek plays the historical part of a commoner’s son who ends up becoming a scholar using a secret identity. Lee Ji Ah plays Yeong Dae and Yeon Hee. Yeong Dae is nobleman’s daughter who is skilled in swordplay and in an arranged marriage with her childhood friend Moon Jae. However, Moon Jae’s love is not reciprocated in her. Instead, Yeong Dae falls in love with San Baek which Moon Jae tries to break them up. Their love story ends in tragedy when Moon Jae accidentally kills Yeon Dae. Fast-forward in modern times, Soo Hyun is the CEO of a gaming company who ends up hiring intern Yeon Hee as a character designer. Yeon Hee, an artist masquerades as a man for a large part of the story due to certain circumstances during hiring. Both of them keep on dreaming similar dreams and searching for their counterparts. However, their happy reunion is cut short by Moon Jae’s modern reincarnation of Yoo Ri. As a punishment for killing Yeong Dae in the past, he is reincarnated as a woman who ends up being in love with Soo Hyun. Like her past counterpart, she throws Yeon Hee off the roof of a building in a fit of anger after Soo Hyun cancel’s their loveless marriage ceremony. Will history repeat itself in the form of a tragic ending? As a two episode drama, it was a decent watch, but not give me the feels. 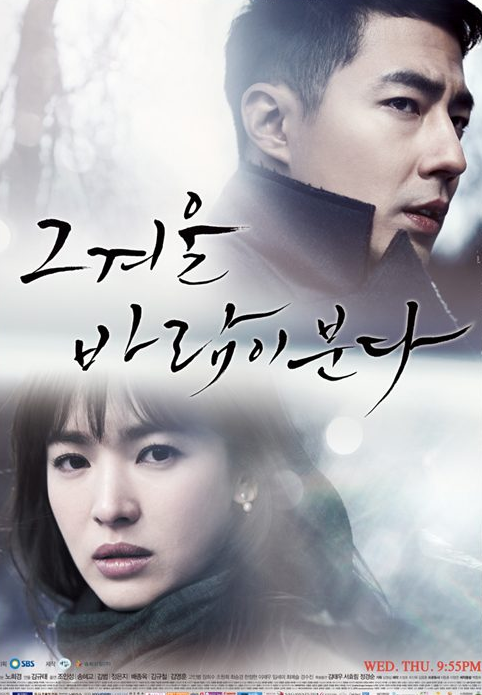 I enjoyed the unique storyline of lucid dreaming and reincarnation, but was not feeling the chemistry as much between Jin Hee and Ji Ah. Perhaps a different pair of leads would have made the story more heartfelt? However, I feel there was a marked improvement of Ahn Jae Hyun from Blood to this saguek character here. His villainous role was very on point. I did find it interesting how the drama played up the genderbending portin of the story. For a large of the drama, when Jin Hee’s character did not know that Ji Ah’s character was a woman, Jin Hee’s character did not seem too bothered that he was in love with a man both in his dreams as well as in real life. I find that to be refreshingly progressive and different. Luckily, gone are the days (well, somewhat) where the camera received more action than the kissing couple on screen. Oh yes, you know what we are talking about. We’re sure you all remember the days where our lip-locked couple are completely frozen, literally locked together, while the camera pans and spins away around them. Or the times you check the minutes of the drama because you think the drama is buffering because nothing is happening. But then, there are those rare moments where we witness a heartbreakingly beautiful kiss, the kind where we secretly dream of experiencing. These are the kiss we dream of or become the stuff of nightmares! Let’s take a look at the worst kisses and best kisses of Korean dramas! Marriage, Not Dating: Can I just say that Han Groo and Yeon Woo-jin definitely have some crackling chemistry and smoldering kisses between them? One of my favorites was in the episode where Han Groo initiates the mind-blowing kiss that spurs Yeon Woo-jin to deliver a swoon-worthy make-out session, forgetting that they have an audience. We also got some yummy smoochies when they were hiding by their car. It’s Okay, That’s Love: Nice smooches between Gong Hyo-Jin and Jo In-Sung. Jo In-Sung is very intense when he kisses, taking full control of it. We have smoochies by the waterfall and a epic smooch by the beach, while trying to condition Gong Hyo-Jin to accept affectionate touches without feeling bothered by them. We also got smattered smooching between the two throughout the whole drama that are so sweet that they give me cavities, I swear. Secret: Mmmmm, although I’m not really a fan of forced kisses, especially when Ji Sung sprung one on Hwang Jung-Eum, the kiss at the end of the drama made up for everything. Everything in the beginning of the drama screamed hate, violence, and angst. However, the beautiful and amazing kiss at the end blew my mind with it’s joy and acceptance. It was like having a mini-catharsis just by watching that one lip-lock. Flower Boy Ramyun Shop: MMMMMM, such yummy kisses here between Jung Il-woo and Lee Chung-ah. We have spicy kimchi kisses and we have a mindblowing, fangirl swoon-inducing make out session by one youngin’s motorbike. Jung Il-woo sure knows to work those lips! Heirs: Ermergerd, I cringed when Lee Min Ho kisses Park Shin-Hye. There was no chemistry and the kiss actually repulsed me. Park Shin-Hye looked like a deer caught in headlights and Lee Min Ho is trying to do all the work with no response. EEEK. Unfortunately, the camera zooms in and all I can see is Park Shin-Hye’s distressed face every time they touch lips. Year in Review: Minutes Refund! It’s the end of the year! Time for our blog to roll out our year end reviews/specials. We decided to start with those dramas we wished or almost wished we never watched. If possible, we would love the directors of those shows to refund the seconds, minutes, and hours we wasted. Sadly, that’s impossible. If you are planning to watch any of those shows beware! One man and two women – the same love triangle for pretty much every lakorn. If things were not complicated enough let’s make those two women mother and daughter. You would have to seat through 50 plus episodes of intense guilt, tears, and wishy washiness by our two main leads. Result: The female lead gets married to the male lead only to dump him at the end of the ceremony. A marriage followed by a separation?! Great, just what I needed. Total confusion. I am so confused by this show that I can’t even explain what went wrong. Clearly, everything went wrong. Gong Yoo please try to pick better drama projects in the future. I know you can do better. When a show is about two leads, I expect to see enough screen time about their relationship. Well, not here. If that’s what you hope, skip this show. The drama started off alright – a beautiful romance, relatives trying to tear our beloved couple apart, a delusional and clingy ex – and that quickly went down the drain. All that I got at the end of the drama is our main leads staring at each other through a window. Hummm, the director needs to redeem himself/herself with a better show. As much as I adore you Jo In Sung, since when did dying take over 3 minutes with you robot walking across a rooftop? Perhaps I don’t get it, but I think it would have ended better in tragedy like in the movie rather than some dreamy petal blown (literally) happily ever after story.